As part of my ongoing project looking at fusion centers’ investigations into Antifa and various white supremacist groups, I filed a request with the WSFC. I got back many standard documents in response, including emails, intelligence briefings and bulletins, reposts from other fusion centers - and then there was one file titled "EM effects on human body.zip." Some obvious questions arise. Waltman indicated the records are not government documents and suggested their presence should not be interpreted as evidence Homeland Security possesses such devices. Similarly, others I consulted who have experience in such matters suggested researchers might look into the history of the possible uses of the facility prior to a fusion center, or that perhaps the docs were once submitted as part of a previous, unrelated FOIA request. It’s difficult to source exactly where these images come from, but it’s obviously not government material. 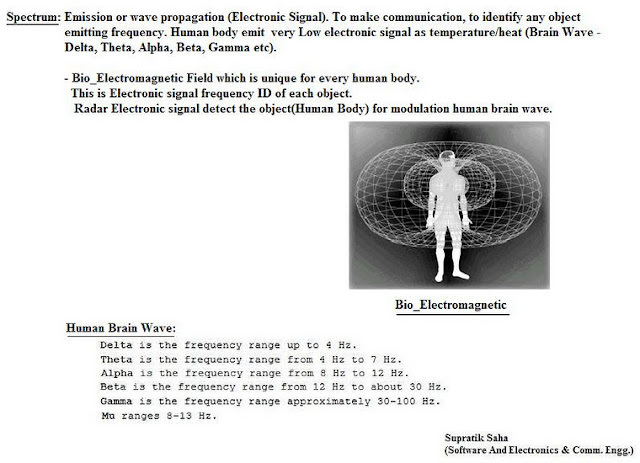 One seems to come from a person named "Supratik Saha," who is identified as a software engineer, the brain mapping slide has no sourcing, and the image of the body being assaulted by psychotronic weapons is sourced from raven1.net, who apparently didn’t renew their domain. MuckRock Executive Editor JPat Brown indicated in an April 20 tweet that comment had not yet been obtained from the fusion center. Brown also stated via Twitter, "DHS called and asked us to remove their name" from the piece. 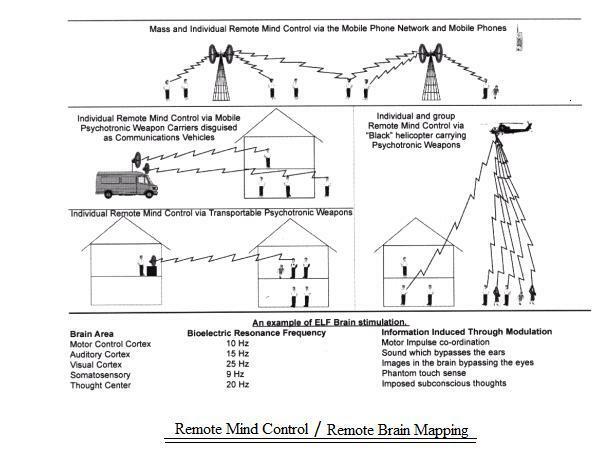 View Waltman's full article, including supporting links, at Washington State Fusion Center accidentally releases records on remote mind control. In light of the peculiar chain of events I submitted a couple public records requests to the Washington State Fusion Center. One seeks further files containing such terms as "psychotronic," "electromagnetic low frequency," and "voice to skull" technology, among others. The second request seeks records indicating how the above images were obtained and why the WSFC is in possession of them. Whatever the reasons the images on mind control ended up at the WSFC and were included in its response to Curtis Waltman's inquiries on records pursuant to Antifa and white supremacists, it reminds me of Nick Redfern's unexpected find. Redfern wrote in 2014 how, while browsing a Department of Defense file on Cold War era research into how microwaves can affect the human mind and body, he was surprised to find the "MJ12/Eisenhower Briefing Document." The document is notoriously well known within UFO circles as part of the infamous "Majestic 12" meme and is in all likelihood an inauthentic record. As a matter of fact, and as Redfern pointed out, it was noted in writing on the "EBD" that it could not be authenticated as an official DoD document. Less clear is specifically what it was doing in a file on potential mind control weapons. Learn more by reading Redfern's article linked above, as well as posts by Kandinsky at Above Top Secret. Kandinsky delved rather deeply into some of the intriguing details of the DoD file, such as it contained docs included in an FOIA release to Michael Drosnin, an author and friend of CB Scott Jones. A career intelligence officer well known to the latter 20th century UFO community, Jones claimed Drosnin was once targeted by the FBI with an incapacitating electronic mind control device. As late as 2012 Jones continued to claim to think "the UFO/ET subject has been used to cloak a number of classified U.S. programs that certainly includes mind control." Whatever the reasons ultimately were for such statements and claims, they became common in the ufology landscape, including among intelligence officers. They are part of the state of the genre, as are the history and locations of the files that continue to surface. Whatever the explanations may prove to be, the circumstances have certain degrees of relevance. They warrant attention if we want thorough, accurate understandings of how the topics of UFOs and electromagnetic weapons became enmeshed, as well as how intelligence agencies played roles in the narratives. A recently published paper on the infamous "Atacama humanoid" set off criticisms of poor ethical practices from qualified experts throughout the international professional research community. If you haven't heard by now, the tiny remains featured in a Steven Greer crowd-funded documentary are conclusively human. More at issue have been the research protocols - or lack thereof - observed by those who handled and dissected the six-inch mummified female body. Also of concern is the lack of attention given to such issues by the publishing journal, Genome Research. 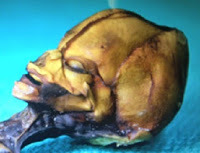 Scientists quoted by The Atlantic say the researchers, which included Dr. Garry Nolan of Stanford and (for better or worse) To The Stars Academy, feel the mummified remains were obtained under extremely questionable circumstances. This, they say, makes any subsequent research unethical. The rationale of the researchers - and their facilities and funding entities - is called into question for failure to adhere to established protocols for working with human remains and verifying a proper chain of custody. What's more, so is Genome Research, for publishing the paper absent what scientists recognize as complete documentation. In layman and UFO blogger terms, if somebody emerges with a corpse or a skull they call alien, a team of educated scientists is supposed to have a better idea of what to do than what apparently went down. I'm far from the first to notice things often go way outside the lines when ufology tries to swerve around real life, but such issues are pretty much why people with credentials and respected reputations often avoid the genre altogether. There are a number of ideas about what may be taking place when educated and/or what should be competent people seem to suddenly forget how to present a point in a cohesive and documented manner. I'm not going to dive into why that may happen, as there are certainly several reasons, but ambiguity indeed often reigns when speculative UFO talk overlaps into reality. Perhaps most frustrating to those who long for fact-based info, many in the UFO community don't even care about chains of custody and such as long as UFOs get headlines. Meanwhile, the boys in the band over at TTSA have repeatedly made numerous claims about videos and implications about how they were obtained, yet, as of this writing, remain clouded in much more convoluted confusion than they've served up verifiable information. Several researchers, including this one, filed multiple FOIA requests on the much discussed Advanced Aviation Threat Identification Program, but are yet to obtain documents. Some requests were submitted to the Defense Intelligence Agency, identified as an overseer of the project. 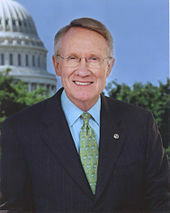 Throwing gas on the fire, Sen. Harry Reid stated there are "hundreds and hundreds of papers" on the project, "80 percent, at least is public," and "the press has never even looked at it." Maybe he'd like to tell FOIA officers where to look, because they're yet to produce any of those hundreds of public papers. To be clear, the AATIP was confirmed by the Pentagon to have existed. It is much less clear why Sen. Reid and those acting on behalf of TTSA have failed so miserably at presenting proper documentation of their claims, or why AATIP docs have not yet surfaced. Luis Elizondo, a Pentagon-slash-TTSA name now familiar to those following the narrative, identified the Navy as a source of reports obtained by the AATIP. John Greenewald of The Black Vault made a social media post explaining he submitted an FOIA request to the Navy, specifically citing Elizondo's statement. The Navy responded it's got nothin'. A lack of ability to present documentation of one's assertions does not bode well. Similarly, when a person's education and career path suggest they should fully well know how to present evidence and follow established norms of research protocols, yet fail to do so, conspiracies are often born because it can be difficult to think them incompetent. Whatever the reasons may be from one instance to the next for credentialed people entering the UFO fray yet failing to present work up to professional standards, it should neither be overlooked nor rationalized. They, of all people, should be making the grade.